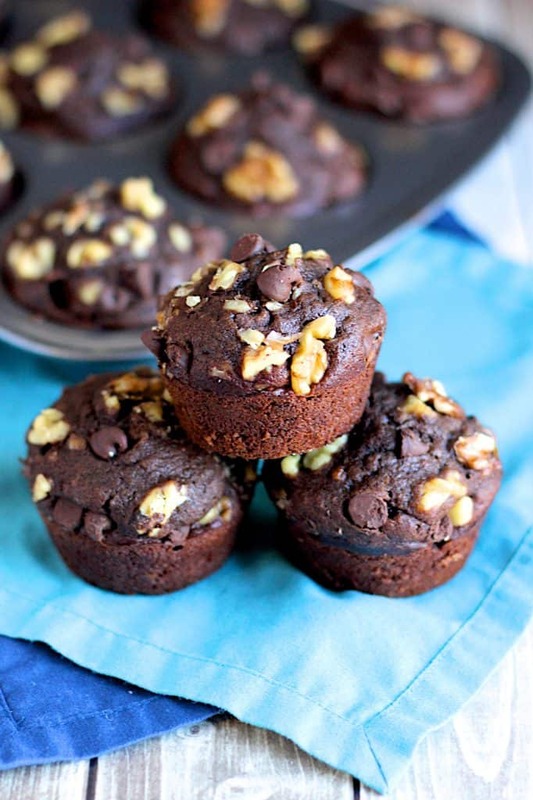 These (double) chocolate banana muffins are studded with walnuts. They’re moist and chocolatey. 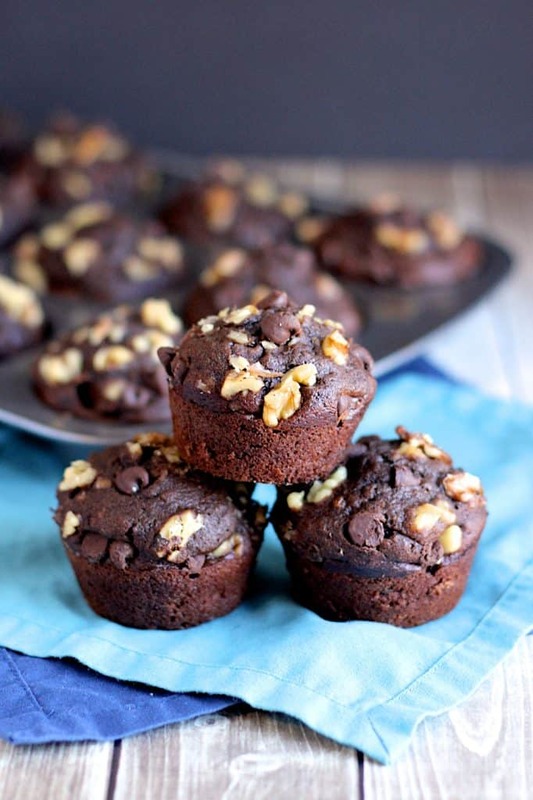 The chocolate chips and walnuts keep the texture interesting. Let’s talk about these muffins. Yet again, I had bananas sitting on my counter top that were on the verge of being too ripe for consumption. You’ll notice that this happens a lot. 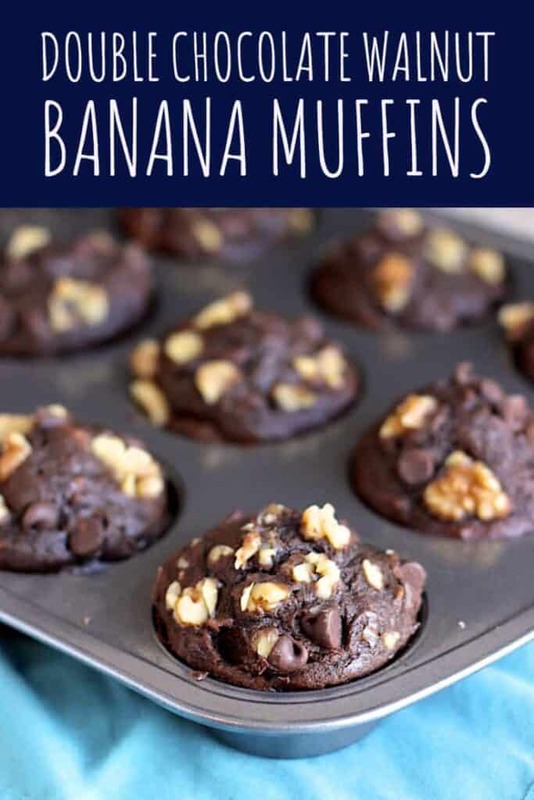 See these muffins, this banana bread, or these banana bread cookies for just a few examples. 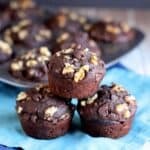 Until now, I hadn’t done a chocolate banana muffin. 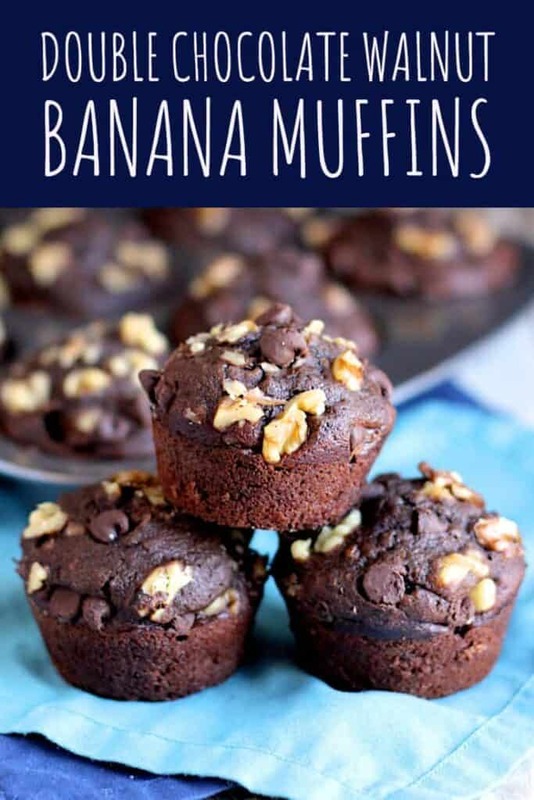 They’re chocolatey, still retain some banana flavor, are kept moist by the bananas and oil, and are kept interesting in terms of texture by the chocolate chips and nuts. This recipe makes a big batch, too. So they’re perfect for sharing. 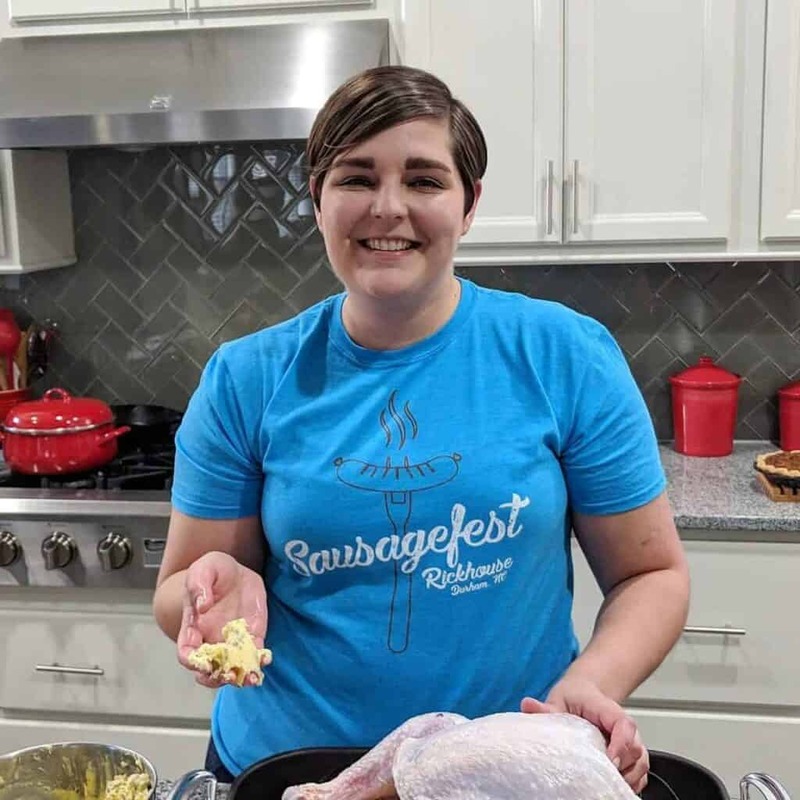 This recipe comes from All She Cooks. Preheat the oven to 375 degrees F. Spray muffin tins with cooking spray and set aside. In a medium-sized bowl, whisk together the flour, cocoa powder, salt, and baking soda. Set aside. In the bowl of a stand mixer with the paddle attachment, beat the bananas until they are well mashed. Add the eggs, vanilla extract, olive oil, and milk. Mix until everything is combined. Add the sugar and mix until combined again. In a couple of batches, add the dry ingredients to the wet. Scrape down the sides of the mixing bowl as needed. 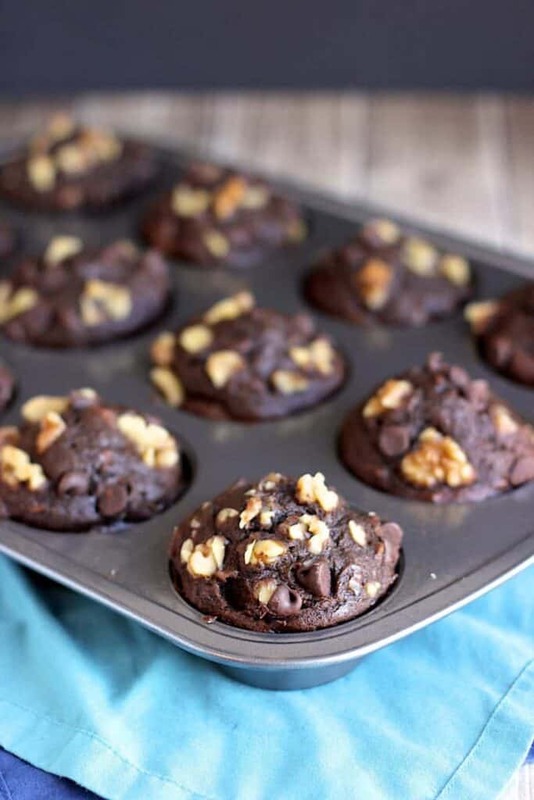 Fold in the chocolate chips and chopped walnuts. Fill the muffin tins up almost halfway with muffin batter. Top with some more chocolate chips and chopped walnuts. Bake 15-20 minutes, or until a toothpick or knife, when inserted in the center, comes out clean. Cool for 5 minutes in the muffin tin before removing the muffins to a wire rack to finish cooling completely.